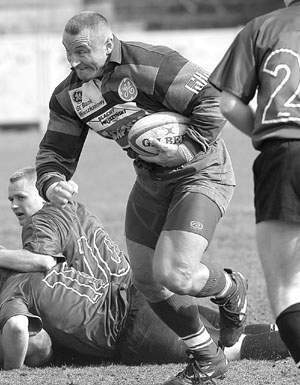 Mariusz Pudzianowski, 5 times world\’s strongest man, plays on the flank. Apparently his 8-man is even bigger. I’d be more worried about an old guy with a face like that running at me full-speed than the muscles. This dude just looks like a monster. I would hate to be in his path. I want to have his children. Yeah, you may as well be made of crepe paper, trying to stop this dude.